4k00:08Nice aerial view of big wide bridge road over dark river with plenty of moving cars on it in urban area of large modern city shown on clouded summer day. 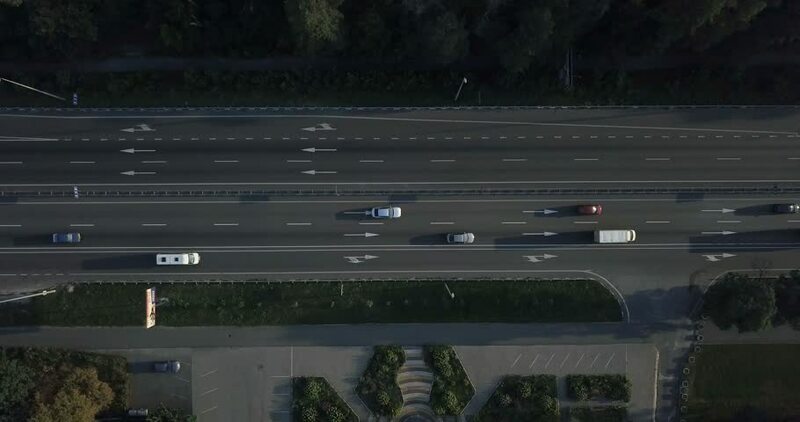 4k00:16Highway, cars go along the road from above. City landscape, freeway, aerial. City road from the bird's eye view. Great traffic of cars, top. Summer evening, sunset megalopolis.